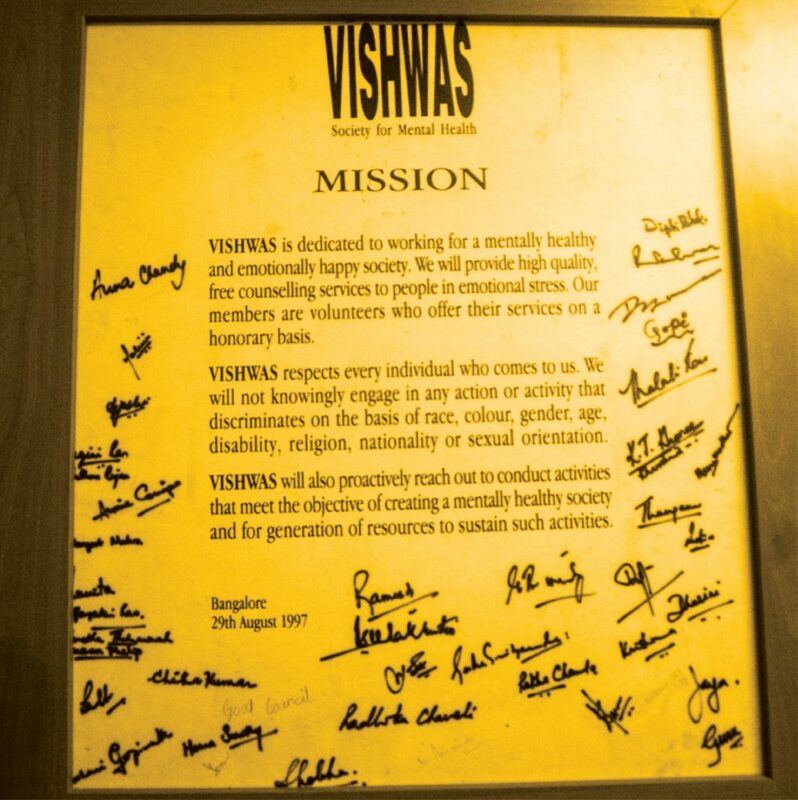 VISHWAS is dedicated to working for a mentally healthy and emotionally happy society. We will provide high quality, free counseling services to people in emotional stress. Our members are volunteers who offer their services on a honorary basis. VISHWAS respects every individual who comes to us. We will not knowingly engage in any action or activity that discriminates on the basis of race, colour, gender, age, disability, religion, nationality or sexual orientation. VISHWAS will also proactively reach out to conduct activities that meet the objective of creating a mentally healthy society and for generation of resources to sustain such activities.